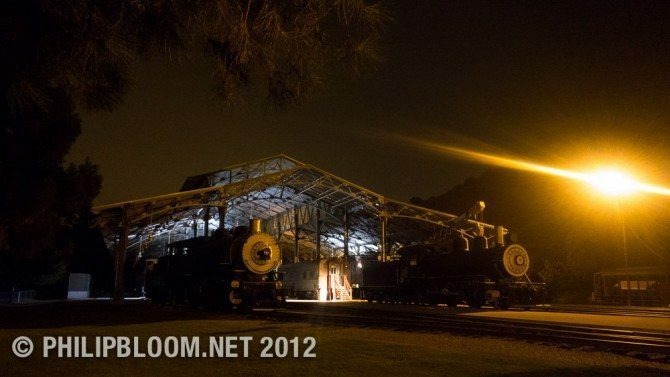 Shooting at Travel Town in LA. Big lighting set up this! Last month, I was lucky enough to be director of photography on a little project for Panasonic in LA. A film made to promote the brand new GH3 camera from Panasonic. The camera was a very pre-production until so many of the cool features on offer in the spec list were not fully functional for us so I can’t comment on them until I get my hands on a production camera. What I can say is it’s bigger and it’s heavier…it’s also a massive step up from the previous model and has a superb 72mb/s All-I codec which is a world away from the compressed-as-hell AVCHD codec that we are used to on many cameras and on all their previous GH series cameras. I have been using the GH series of cameras ever since I got my hands on a pre-production GH1, 3 and a half years ago. I shot some lovely stuff on that and of course the GH2. My favourite piece being my mum cooking! 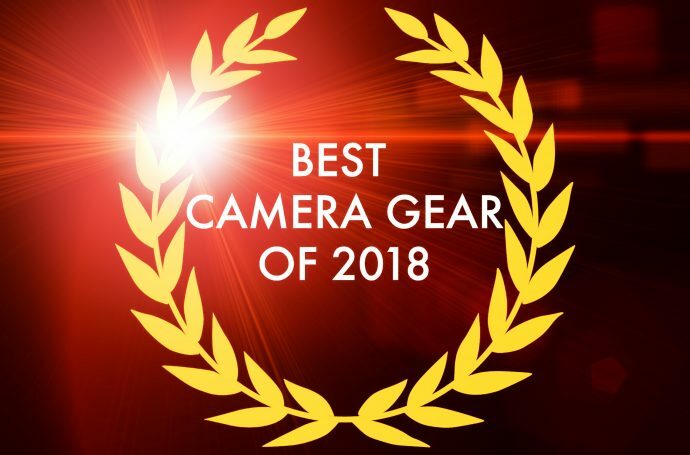 Excellent cameras that have been adopted into the low budget filmmaking community, especially since the hack to give the GH2 an ALL-I codec surfaced. One of the best things about this camera is that Panasonic have seen this and responded with their new 72 mb/s All-I codec here. It’s more than enough for a camera this size and very robust indeed! Personally, I think this is the step up this camera needed to be used in more professional environments, though without losing its mass appeal. With the Blackmagic camera micro four thirds, we could be coming into the time of this format. Great for me. I have a crap load of glass for the system and would like to use it more! Not being able to use a monitor was very challenging for a lot of the big lighting setups so I had my laptop at my side, recording a little bit, pulled the card out to check then tweaked. For the handheld it was no issue as I went off the back screen. For the shots operated by Terry we simply had to go with that old thing that is not used that much anymore…trust! “hey Terry how was that? Did you nail it?” He would say yes or no….not ideal but it worked, sometimes he asked for playback to check it most of the time we just moved on as there was a lot to cover in our 3 days of shooting. This was less about being secret…more about seeing the screen! Handling on the camera is also much improved, feeling much more solid in your hand. 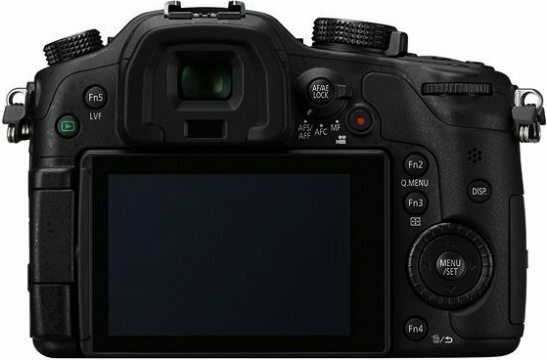 Better controls with a back dial like on other DSLRs and some fantastic features like 1080p 60p for nice slow motion ability. This is available in some DSLRs, notably the Alpha A77 but it’s AVCHD so by time you slow it down to slow motion you are half your AVCHD bitrate and it falls apart. This is MUCH better! Written and directed by Bruce Logan, ASC (he shot Tron!) this film was designed to shoot in a number of scenarios to test out the camera. Harsh contrast, interior lighting, direct sunlight, low light, fast movement, handheld…we tried most things. I especially loved the much improved low light performance. The camera was operated by the terrific Terry Bowen and I did a lot of the handheld low light stuff… The arrest sequence, the subway and the taxi shots. That is the joy of small cameras, going and filming small and fast with limited light, but we also used this camera with a full crew as you can see from the credits below. The pre-production camera herself…12mm SLR magic lens here. I can’t review the camera as such for now..that will have to wait until a release camera or close to release camera is available but going from what I have seen and used so far it’s a massive step up from the GH2 in build quality, feel, image, low light. All important stuff. It is more expensive for sure and it’s a shame the price couldn’t have been kept closer to that of the GH2 as this camera is exceptional for the low budget crowd…but it’s still cheap for what it does, just look at how much more is on offer both in stills and video. Oh yeah… the ex tele conv mode is still present on this new model, it samplea the native pixels of the 1080p image to give us an in camera crop without loss of quality is present and we used it a few times. Very useful indeed! Check out the speeding car at dusk panning to the right shot. That was shot with it! Lens wise we used all micro 4/3 or 4/3 glass…Mostly my own glass. We shot a lot on the great Voigtlander 25mm F0.95, used on almost all the low light stuff …a couple of shots on the SLR Magic 12mm F1.6. My Olympus 14-35 F2 was our workhouse. Used this A LOT. Also my 35-100 F2. Great glass. Not ideal for movie shooting though, with the loss of focus when zooming in and fiddly focus. Lots of Lumix glass was used too – especially the brand new lenses coming out soon! I didn’t get a chance to use the 17.5 Voigtlander on this shoot but it’s another cracking lens from them that is perfect for this camera! Before you ask about direct comparisons with the GH2, I am afraid I did none. We were very busy on this shoot with very long days and also doing a side by side comparison with a pre-production camera made no sense…that will come soon I am sure!! I wasn’t able to test the audio, but there IS a headphone jack..HURRAH!! I hope you enjoy our little film. 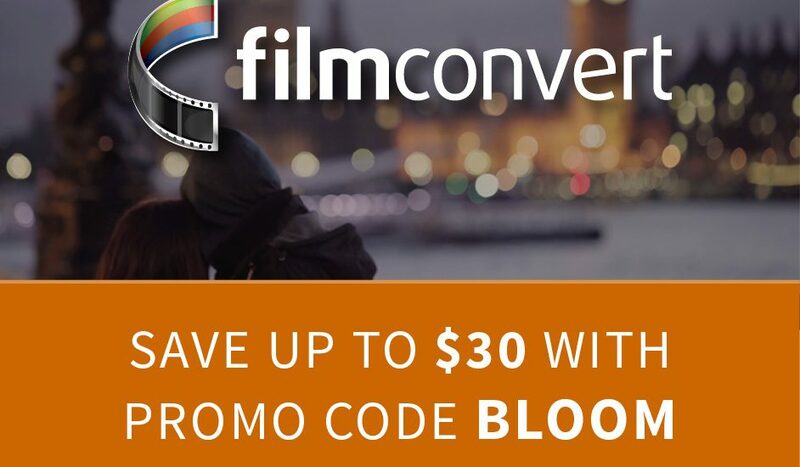 This really is a great new tool for us filmmakers. Just remember though, this is a tool…not a religion 🙂 ALSO do watch the terrific BTS video by Mick Jones below…Please follow Micky on twitter. He is real talent. Great filmmaker and multi award winner. 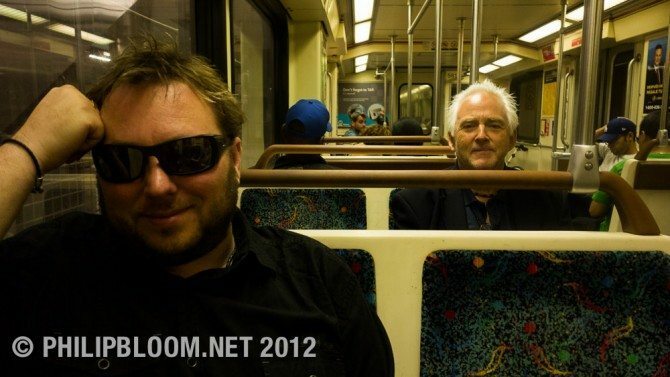 There is also a short interview with write director Bruce Logan below that. 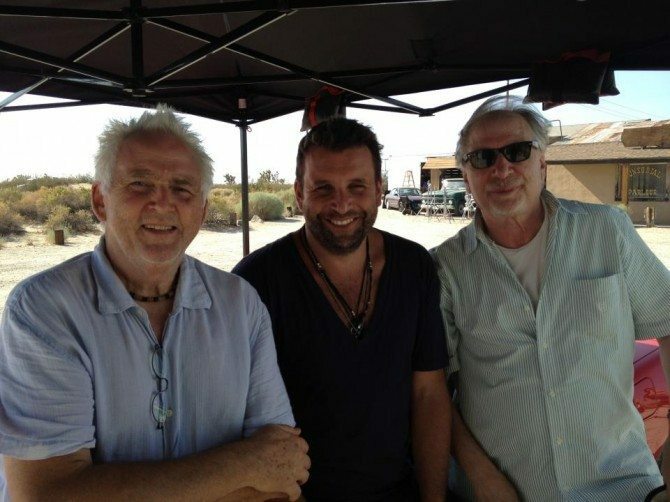 Bruce, myself and producer Elliot. An enormous privilege and honour to work with these gentlemen! 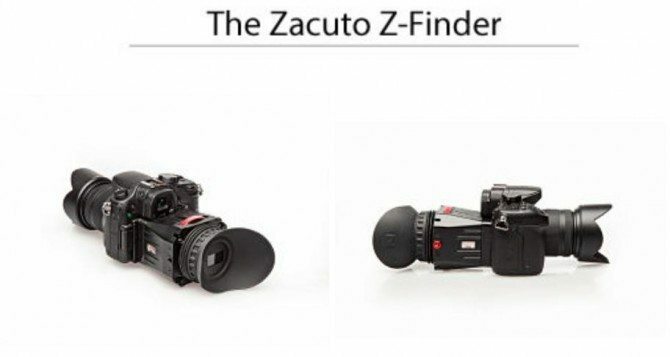 I was the administrator for the Zacuto 2012 Revenge of the Great Camera shoot out. In that test, one of the cameras was the GH2 and it drew a lot of attention when Francis Ford Coppola picked it as his favorite camera. 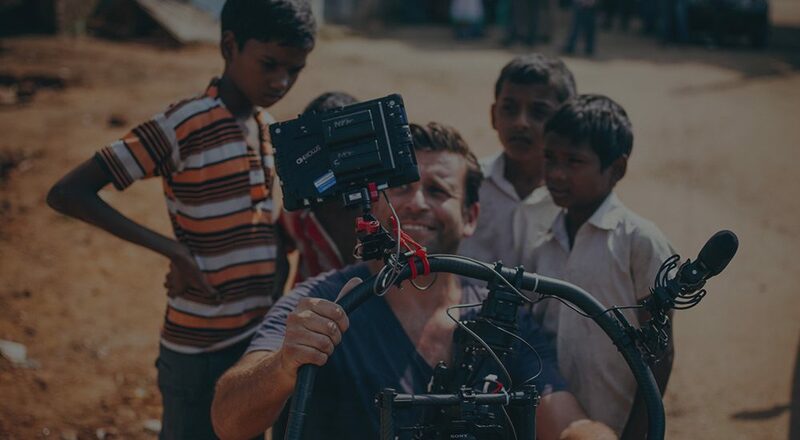 At the suggestion of one of the camera accessory vendors, Panasonic asked me to partner with Philip Bloom to make a short film which would highlight some of the new features of the GH3. You wrote and directed it…were there specific things you wanted to demonstrate that the camera could do when writing it? One of the features I was most excited about was the ability to shoot slow motion at full 1920 x 1080 with progressive frames. Writing the story, I wanted to shoot both wide landscapes and intimate interiors, both during the day and also at night to show the full range of the camera. How freeing is it to work with a small camera and one that doesn’t require too much light? One of the most amazing things about the camera was its ability to shoot night exteriors with existing natural light outside. We have a scene where our hero is busted by the cops. I had planned for us to light this exterior sequence, but when we got there and put on the F/0.90 25mm lens, we found that we could shoot in the natural city street lighting and with the flashing police car light. Amazing stuff. This of course is very liberating for the filmmaker and greatly reduces the amount of time it takes to shoot a scene. 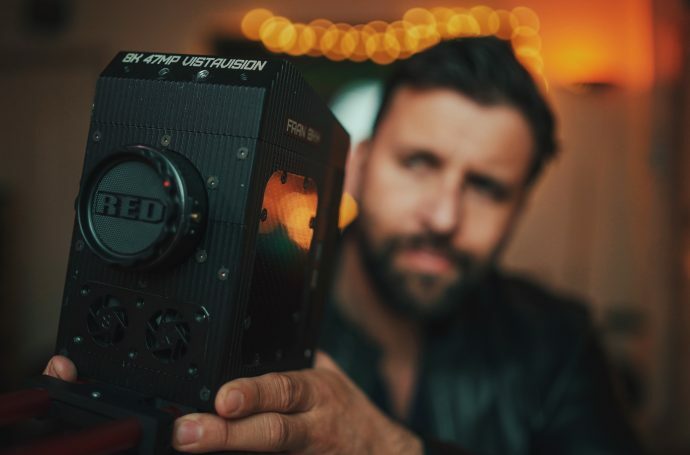 How important is a camera to a filmmaker? 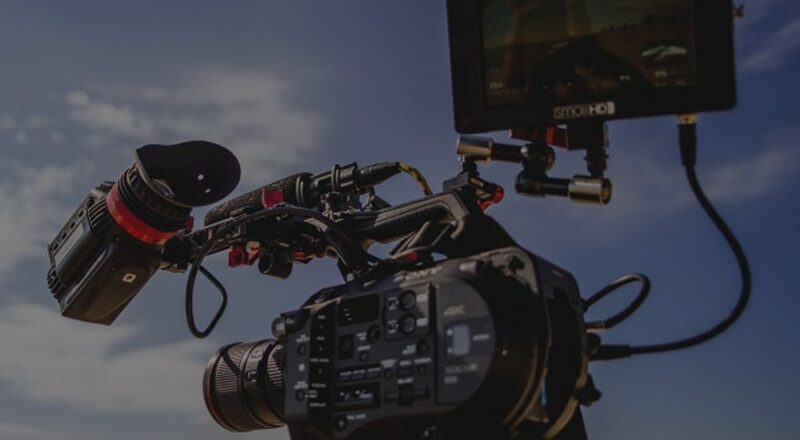 A camera is of course the heart of the filmmaking process, and the camera’s ability to deliver features that make the process easier is the magic that the manufacturers contribute to the process. However in telling a story, I have found that the process is the same whether I’m using the smallest DSLR or a blimped 65mm Panavision Camera. So, although I love cameras and all the new feature and abilities they bring to the party, they are basically tools for telling stories, and that always has to be my main focus. You have worked on some incredible films, 3 of which are in my top ten. Do you think science fiction is a genre you may revisit? Science fiction is a genre which has followed me, more that I have followed it. Excluding films that I have worked on, there are Science fiction films which are in my top ten films of all time, including Blade Runner and Close Encounters of the Third Kind. But working in the genre have been some of my most seminal filmmaking experiences and I look forward to doing it again soon. 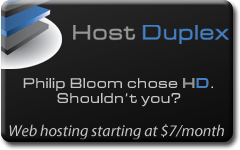 When I first heard I was going to work with Philip Bloom I was both excited and nervous at the same time. Philip is a fantastic photographer and I have enjoyed his work for a long time. But most of the stuff I have seen has been with small crews, if any, and been very personal storytelling. I wanted to do Genesis in the Hollywood filmmaking style with a full camera crew, a gaffer, grip and a camera operator, etc etc. and I was not sure how Philip would enjoy working that way. But, he loved it and he worked exactly as I would have expected a Hollywood DP to work. But in addition he bought a facility with DSLRs and menu selections and was fantastic in work arounds for all the problems inherent in working with prototype cameras. So I can’t wait to work with him again. I’m over film. It’s in the past. Yes I hanker for a great black and white print where you can actually see the the crystals of silver halide dancing around on the screen, but modern color film emulsions have grain structures which look just like electronic noise to me. Of course in film the dancing grain actually help to define the image in greater detail, where as in digital the noise is just superimposed on the image, but all digital has to do is double its resolution (which it seems to do every five years) and the result is the same or better. I love file based workflows and desk top color-control technologies which put the control that lots of people had on my projects back into my hands. I’m not going back! Hey Yeeaaa, great vdeo. saw parts of this on the leacked GH3 video. the camera’s image is looking great here, a relief since the leaked video quality was not great. It seems they solved all main issues (except rolling shutter). Clean, detailed, with good range and no banding images. 72 all-i is really good, beyond competitionìs more expensive products. What really I don’t understand is why half of the short movies with a minimum of storyline end up in a guy running for a girl. It’s hard to belive that Bruce Logan didn’t realize he was doing something seen so many times in the DSLR world since Reverie. It seems technology is filling the gap but plot… so many times is poor. Short movies could be excellent for puzzling stories well told in a handful of minutes, and a good one can really help the promotion message behind it. Anyway, I wonder how can you do all this stuff while posting on the website and going around the world for workshops, I’m beginning to think you can clone yourself! Great post once again. Thanks very much. Quick question — can you provide a link or a bit more info on the SLR Magic 12mm F1.4? 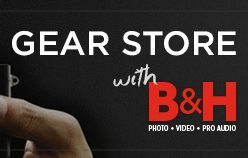 Not seeing it, searching B & H here in the states. I suspect it’s a typo, the 12mm SLR Magic Hyperprime is an f1.6. Actually they say it’s an f1.4 but they rate it as t1.6. A bit weird for a photo prime. I thought it was 1.4…need to look at it! I hope I don’t get too off topic about that lens but I did a quick search about it. 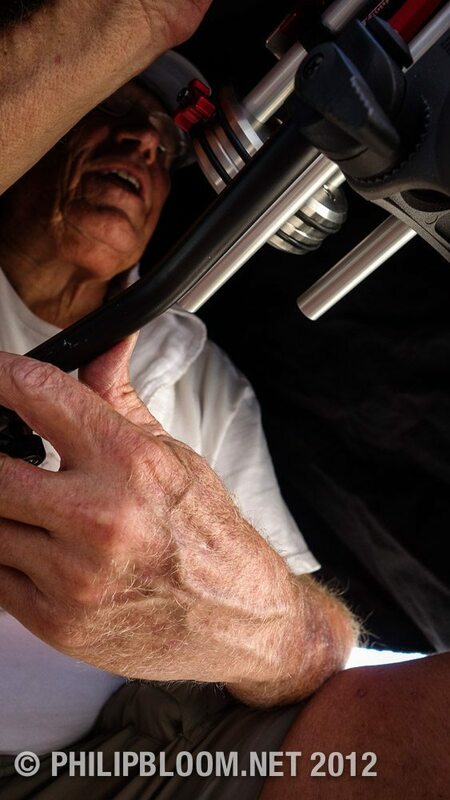 It is generally called a f1,6 lens but enven the producer gives some inconsistent answers. Andrew Chan, Product Manager from SLR Magic… ….mentioned that it is actually a f/1.4 lens by design – f/1.6 refers to the T-value thus the transmission characteristic. EOSHD: Is it a F1.6 lens or T1.6? SLR Magic: F1.6 was what our lens achieved in lab test so we rated our lens as F1.6. Looks great! 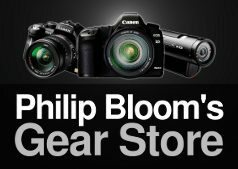 You are a privileged man Mr. Bloom 🙂 Looking forward to the pricing and release date of this so called “G” camera. I would love to get my hands on one before December. I’m sure you’re not talking about the GH3. Lol. Can’t wait for the announcement on Monday. Great short film by the way. Cheers! Nice, something finally shot with lens that everyman is going to be able to afford and use. Too many of these camera promo videos are shot with glass worth tens of thousands of dollars. 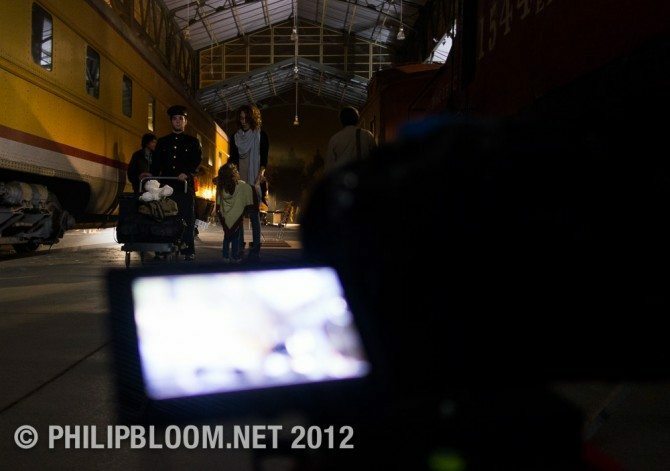 Mr. Bloom you are a Master in this craft. Well done sir ! Great film Philip! Had me pulled in from the beginning! Thanks for the film and I CANNOT WAIT for the BTS and review! Beautiful work, as always. Thank for sharing! Higher bit rate is obvious, it must have been a pleasure to color grade in comparison to H.246. It is certainly a pleasure to watch. Cant wait to see more news! you enough for taking the time to post all of this on your site. Panasonic, Nikon, Canon and Sony pse HOLD YOUR HORSES!!! Can they make it even more difficult to make a decision about my next system? I want them all but can only buy one… This G one, two…. 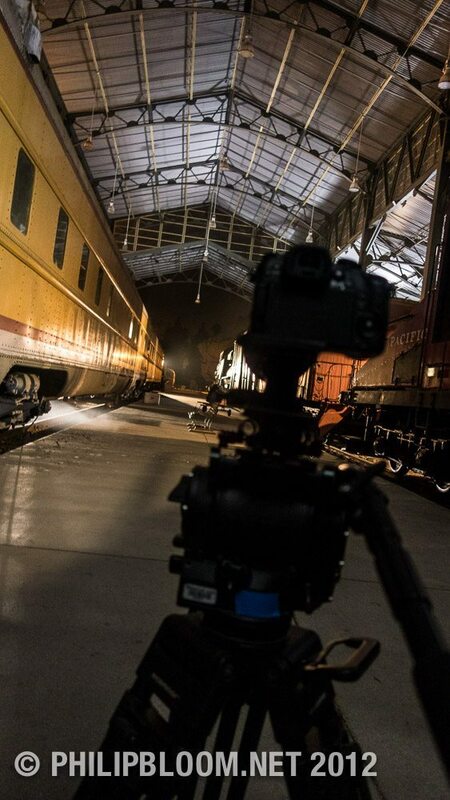 thing looks great and with the upcoming Schneider prime lenses things will realy get more difficult. Already started with selling my Leica/Canon prime set to step into Nikon world but this Pana seems to be another good option. Whooah! 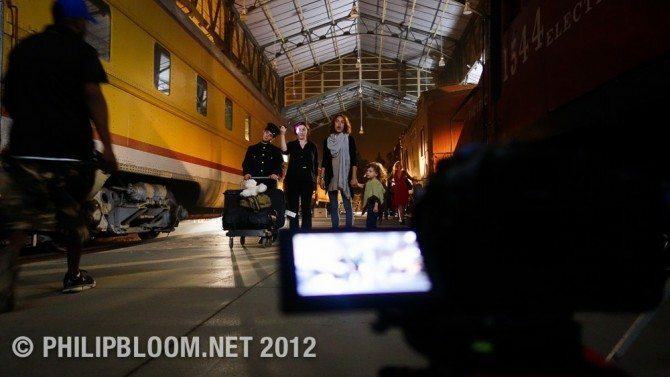 What an extraordinary short film… by the GH3?!?! Totally blown away by the image quality, and range. That has to be one of the best promotional shorts for a camera I have ever seen. The middle section was by far the most immersive and real, to the extent I forgot I was pixel investigating a camera. The story took over… and that is the key. Being LA at night, it had a little of my favourite Michael Mann feel. Great work, amazing camera. It makes a very tempting purchase. As ever though, sound is the issue… I just want a video DSLR with at least some pro sound connections to get some quality audio options. Trouble is, it may end up looking like one of those really big Swiss Army knives! Applause to Panasonic, and well done on a superbly crafted short. I await to see what audio options there are. Just a quick picking of your mind. Looking at some footage of the Gh3 here and the new Nikon D600. Even though the Gh3 footage looks a little more cinematic (grainy) here, the footage I saw on the Nikon looks very sharp and clean. Just maybe your thoughts on Full Frame vs 4/3 censors at approximately the same price point. What is your preference to shoot on, if you had to choose between maybe these two particular camera’s? i talk about low light in this post! What happens to the windmill? Yes. I was talking about fan. Which camera has less noise? After the movie say that the GH2. Of course, after a small hack. That you do: “I especially loved the much improved low light performance. The camera was operated by the terrific Terry Bowen and I did a lot of the handheld low light stuff…” Sorry about that! I look forward to Monday. Hi Evan – I’ll upload a VPN app for you and link it here for you. I’m currently on assignment in Guangzhou China filming as elf funded doco on a new high tech cancer treatment here that uses nano-tech and lasers 🙂 and works in 45seconds!. Been four months so far, loving this country apart from the heat here haha, so what city are you based in? My biggest problem is that the operation uses lasers to kill the cancer tumors and none of the cams I’ve tried cannot handle the lasers in a darkish room, all I get is red blobs 🙁 here’s hoping the gh3 will work better then the canons I’m using currently. If I can get my hands on one 🙁 I don’t want to wait 13 months after release before I can get one to use here. Will post the link later tonight when I get home, are you on Mac or pc? Ah, I ran out and bought a VPN just to watch, couldn’t take it anymore. Thank you though. I”m in the capitol city, Beijing! Too bad about the tough laser work, I guess they won’t let you turn on a fog machine will they? The 550 never did high ISO well 🙁 Maybe if the room is really dark you could just reshoot the thing somewhere else and angle it where you can’t tell it’s not the operation room. Just ideas, good luck. 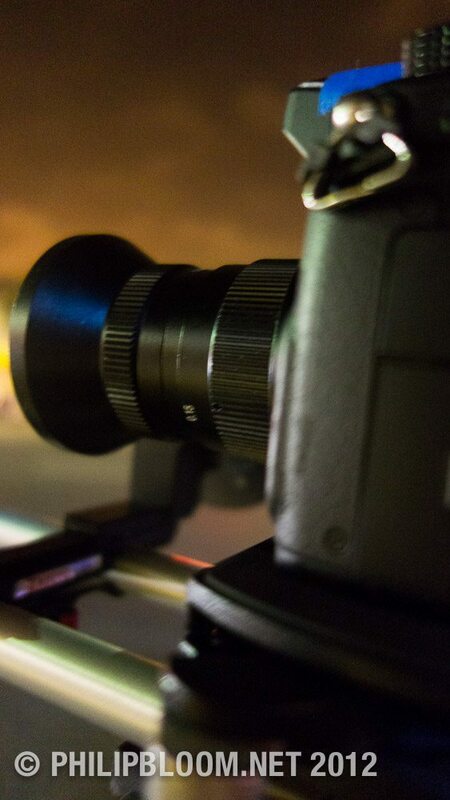 If you are having issues in low light with the 550d, the BMCC will not be the answer you are looking for. The quality looks great. I can’t wait to hear more, it sounds like an exciting camera. Another superb M43 camera, great times for indie film makers. Great looking short! Thanks Philip. We’re gearing up to shoot a low budget feature film. 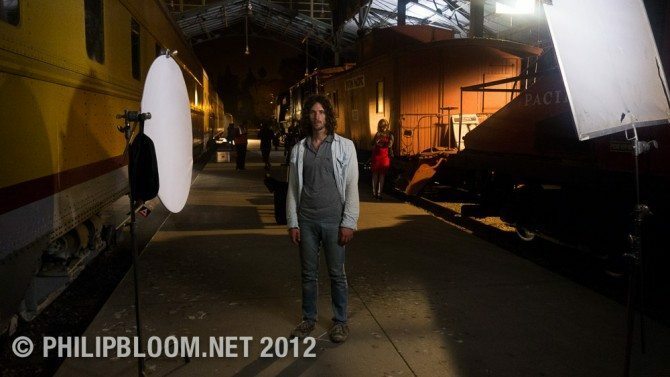 Which would give a better cinematic look – GH3 or Black Magic Cinema? cinematic is a tough word to quantify. filmic? probably blackmagic but a whole different beast!! Hi, thank you for your post. It’s good to see some footage shot well to try to make a decision. From 42 seconds to 47 seconds there’s the first shot of the corvette speeding off–the sky, especially around clouds, has nasty square dancing artifacts. These are the same artifacts that I got from my HVX-200’s when I made “Sheltered Life”, my first feature. They are my bane. Hateful things that make postproduction hell and make it difficult to sell a film. In fact, I’m presently on pins and needles about getting the film on a particular webportal because they may reject the film based on those, same, artifacts. I’m finally gearing up for my next feature and like the BMCcamera for its latitude and apparent lack of these kinds of artifacts although I want to give the G3 a shot. I’m torn between the slow-motion capability of the panasonic and the image of the BMCcam. Can you help guide me on this at all? Thanks. Carl. Please don’t judge anything from this double compressed version!! Hi, sorry if my question has an obvious answer. Iam new in the neighborhood. Has the new GH3 a clean HDMI output that allows it to record the video signal in an external recorder like Aja or Atomos? Thank you Phillip for this blog !!! I actually don’t know as the camera was not working fully. Hi, Philip, is codec MPEG4 I-frame at 72M 4:2:0 ? I’m very excited about this camera! Somewhat off topic, but can anybody tell me why preproduction models have all this tape on it? 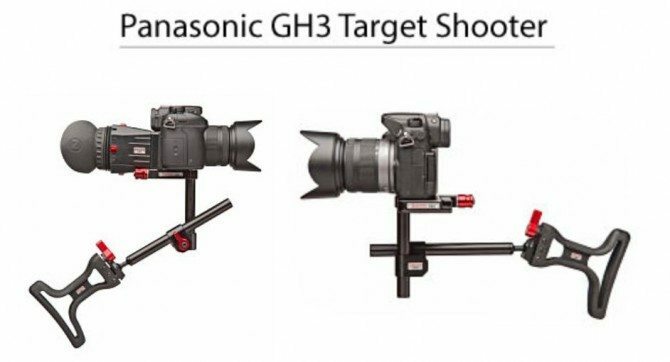 Here the GH3 has it, and I saw the same to the extreme on the C100 in a ‘making off’ video. Does the tape hold the camera together, or does it cover off body for secrecy? Looking forward to the full review. So many questions. Useable viewfinder? At least as good as or better than the GH2? Hopefully with a great viewfinder it’ll be priced as a poor man’s Sony a99. Hi Philip, a brilliant little film you guys have put together here. A couldn’t fault any of of it. Great storyline, cinematography, editing and grading. I got sucked into the story more than any of the technical aspects though. As for the camera. 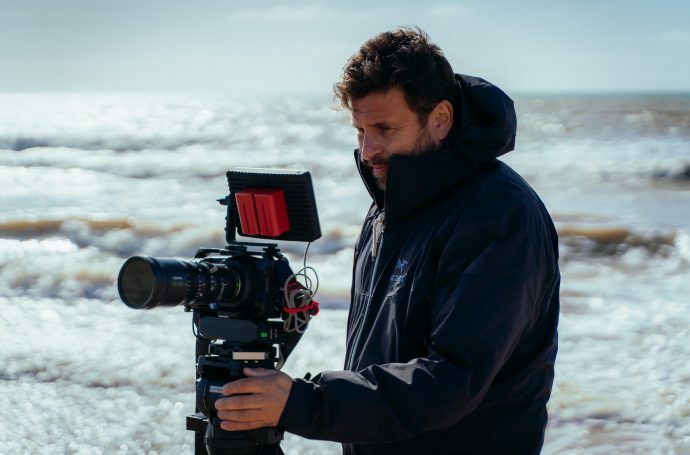 Unless the final production model is greatly improved or there’s a cinema profile to improve things, it doesn’t appear to offer enough dynamic range compared to other cameras on the market? I’m looking at the traffic lights, and even when they appear as bokeh they’re still like lightsabers. A big white glow with either a faded red or green glow around the edges. 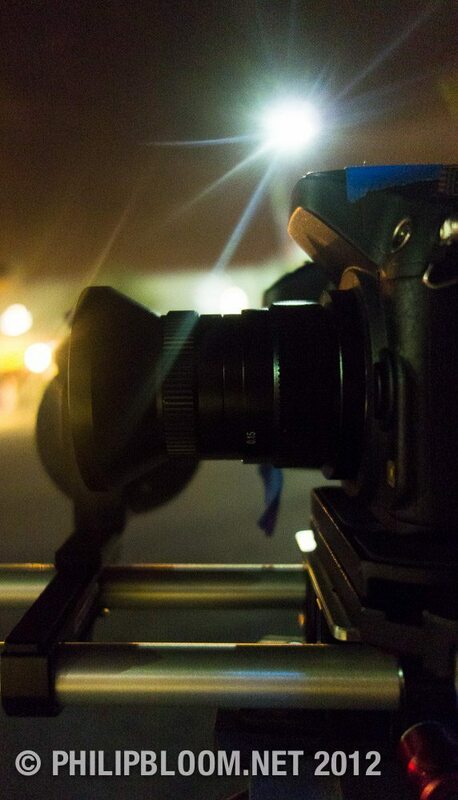 But on my NEX5N for example, lights normally don’t look like that. They mostly just appear as big green or red circles, which is closer to the look of film. Well, so far I’d say that if like me, you/ve already invested in a few micro 4/3rds lenses for the hacked GH2, why not get both the new GH3 and the BMC camera with micro 4/3rd mount, both cameras costing less than $1000 more than one Mark III not to mention the software which is included. You’d have 3 fine cameras for live live multi shoots such as music video and depending on the situation, either the GH3 or the BMC could serve as the “A” camera. Even though I may do just that, I still want to have at least one full frame camera especially for stills but of course video as well. As I am not yet invested in any other glass than micro 2/3rds, making a a decision on what to buy is not easy – am so far leaning toward the Sony A99 but will wait for the reviews and more sample video footage. Amazing times we live in! Well, so far I’d say that if like me, you/ve already invested in a few micro 4/3rds lenses for the hacked GH2, why not get both the new GH3 and the BMC camera with micro 4/3rd mount – these two cameras together will cost only about $800 more than one Mark III not to mention the software which is included. You’d have 3 fine cameras for live multi shoots such as music video and depending on the situation, either the GH3 or the BMC could serve as the “A” camera. Even so, I may have to choose because I still want at least one full frame camera for stills but of course for the full frame video look as well. As I am not yet invested in any other glass than micro 2/3rds, making a a decision on which full frame to buy is not easy – am so far leaning toward the Sony A99 but will wait for the reviews and more sample video footage. 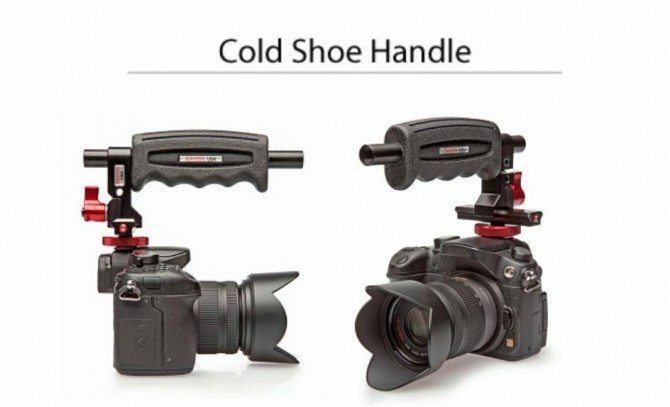 I am curious as to how the GH3 or BMC would look in a finished production next to one of the hot new full frame cameras. Amazing times we live in! This Pana realy gonna make it hard to make a choise. I’m at the point to replace my current 5DMKII and looking at this film I like the images a lot. First there was some doubt because of the DOF. But for me my opion about DOF is changing and I’m not always looking for a shallow DOF. This DOF looks great as well and the change of codec will fasten the production a lot for me. About the film: nice colors in both the film and the behind the scene shots. Like it!!! And Mr. Bloom: a few weeks ago I had some complains about the Olympic film but this film is the revenge: GREATH work and it keeps my attention till the end. can’t find info about video colors subsampling, even at official Panasonic site. Are there any video recording mode with 4:2:2 possibility, or everything stays at 4:2:0 ? Honesty it’s impossible for me to give answers to these questions as the camera was so pre pre production! 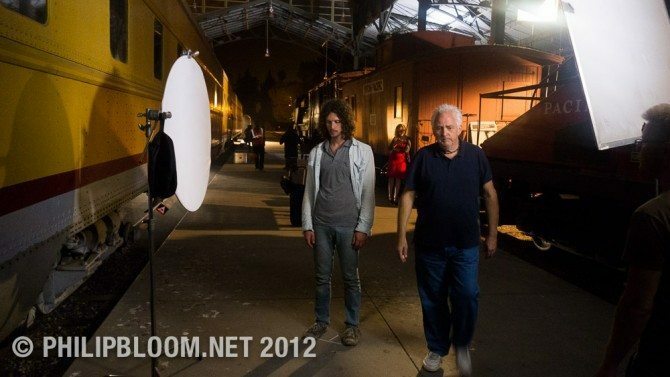 Philip, You mentioned that it was difficult shooting without a monitor. 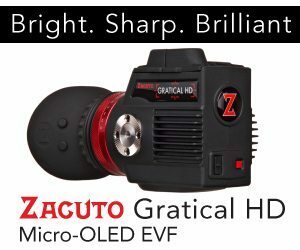 Was the EVF not usable? I find the EVF on the GH2 to be very usable and thought the GH3 would be an improvement. Not so? Very nice. Images looked great to me and I actually teared up at the end. I was crying because of how hard it’s going to be to say goodbye to my trusty GH2 when I purchase the new GH3. Yeah… that’s it. PB, can you tell me if the GH3 has true 180º shutter? 24p @ 1/48? GH2 did not. Only 1/40 or 1/50. A side question for ya. 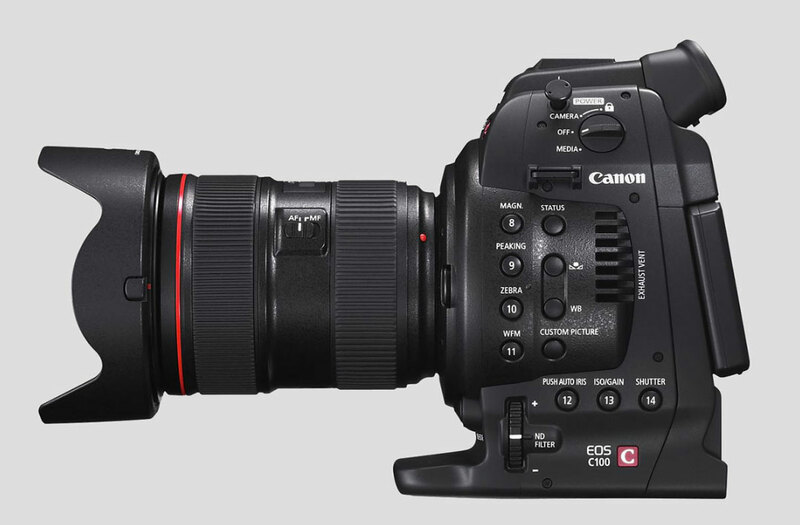 As far as I know you still can’t get a clean HDMI signal out of the 5d MKIII and we probably will never see it happen. 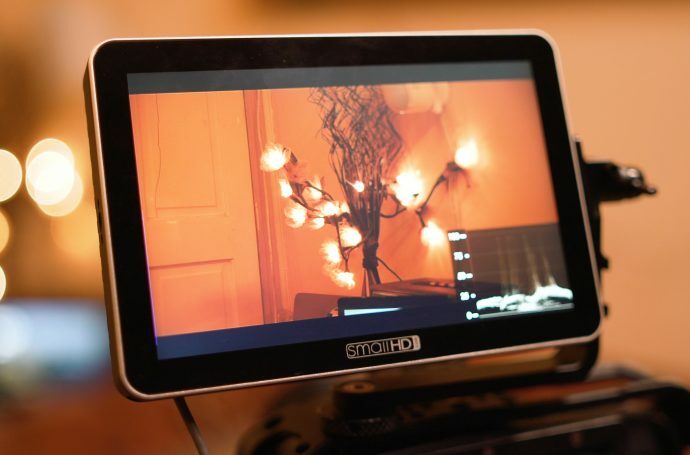 So what about the signal coming out of the BMCC? I’m trying to see if I would need to get a nanoFlash or another recorder. Mostly because I’m thinking of getting a camera for FX work, specifically green or blue screen work. Thinking about making a movie similar to 300 or Sin City or Sky Captain, with only virtual sets. BTW – great work as always. Keep it up. I’m actually pleasantly surprised by the price of this camera: body is €1199 in Belgium, tax included. That’s pretty competitive. I love my hacked GH2 except for one little problem, banding especially in the sky. Can you tell us whether this is an issue with the GH3? Thanks for your good work on our behalf. Couldn’t say am afraid. Was a pre production camera so can’t judge anything! Whats the frame rate for slow motion? Philip- gotta admit I’m checking your blog at least twice a day in anticipation of you full GH3 review. Will you be releasing this any time soon? Thanks for all that you do! Hi there! I think I mentioned in this post that there is no way I can do a formal review based upon the very early preproduction camera we used. Once I get a finished one then it’s possible! Amazing work, sir. I bought my GH2 only three months ago… Your film here and your initial review have made me quite frustrated! I got a great deal on the GH2, though, so after seeing the price point of the GH3, I’m very happy with my choice again. I’m comfortable with the hack, sound isn’t an issue, and I prefer the smaller form-factor. I’m a director, not a DP, and find the GH2 to be very easy to use and my graded hacked shots have been confused for RED One. My narrative DP colleagues who own 7Ds and 60Ds drool over this little camera (and I love their work with the Canons). BAM, free crew! Keep it up, man. I’ll be watching. Hey Phillip I wanted to ask a question about adapters with the GH3. First of all, the camera looks amazing. For my needs it looks like the ideal replacement for the 7D and a companion for the 5D Mark III. Over the years I have followed your advice and have invested in both Nikon AIs and Carl Zeiss zf.2 glass to use on HDSLR filmmaking. All of my current lenses (zf.2 35mm f2, 50mm 1.4, 85mm 1.4, and Nikon macro 105mm 2.8, 300mm f4.5 and AF-s 17-35mm f2.8 are equipped with nikon to canon converters (Fotodiox pro). My question is, do you think it is wise to buy a Canon to MFT adapter (since all my nikon F mount glass have, efectively, a canon mount) or do you think it is just better to have Nikon F to MFT adapters. 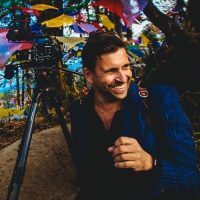 I ask this because I would like to use both cameras (5D and GH3) possibly in tandem and not separately in video production and I really don’t want the hassle of dealing with so many adapters. My main worry has to do with infinity focus issues, (since these nikon F mount lenses are going to have a canon adapter, and THEN an EOS to MFT adapter if I go this route, mainly because I would like to have a single one of this clamped to the GH3 permanently. Or is it just better to buy new Nikon F to MFT adapters and bite the bullet? (will have to buy new ones for all the Nikon F mount lenses). which lenses do you already own Ruben? Philip can you see a day when there will be a decent M43 adapter for Canon EF lenses? Of course. 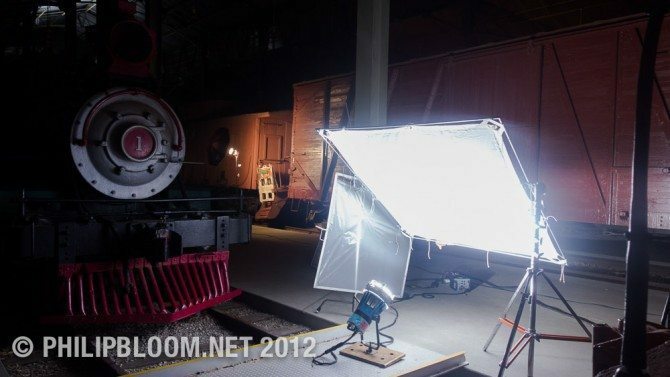 Sure metabones are on it! Do you know if more EF adapters are next on their development list, leveraging what they’ve invented to control the Canon EF lenses? Video looks amazing. I love my GH2 and can not wait to purchase the GH3. Phil – could you expand a bit on your experience of the Olympus 14-35 – you mentioned ‘fiddly focus’ but I thought these were mechanically coupled for manual focus? Several other sample videos from preprod GH3s have been posted more recently. Many of them show pretty bad moire patterns and other aliasing. I didn’t see any of that in Genesis, although there were several scenes where I imagine it would have been a problem with some cameras. 1. 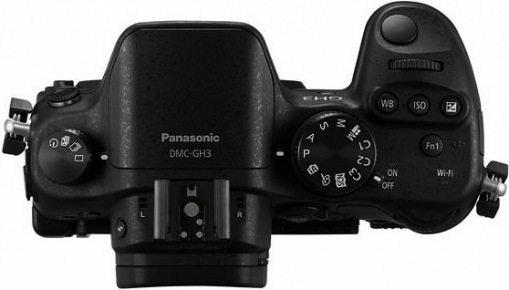 Your GH3 was the only one with the final production AA filter (since yours was the one Panasonic was using to show how great the video results can look). 2. 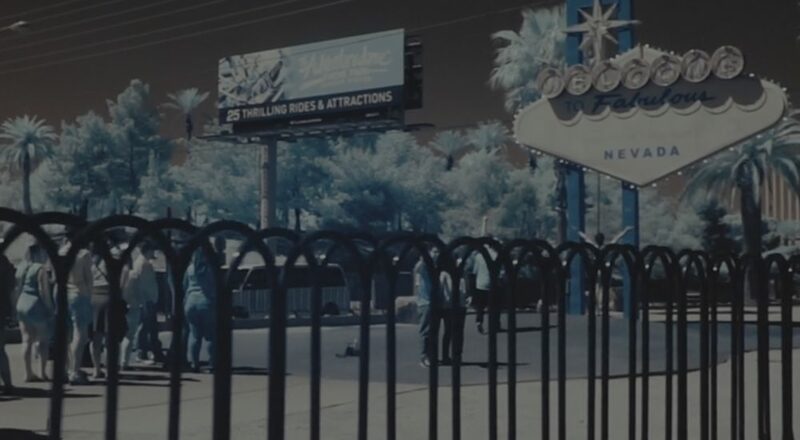 You used optical tricks to avoid it (soft focus or something). 3. You fixed it in post using some kind of magic plug-in. 4. The other testers simply didn’t know enough, or didn’t have enough time, to get the settings right (like turning the sharpness all the way down). Of course Genesis looks much better than the other videos in many other ways too, but the other ways are easy to attribute to your superior skill. But I’m not sure how much difference skill can make in the case of moire. I’m a total beginner and am considering both the GH2 and GH3, among other (less likely) possibilities. I briefly had a Canon T3i, but returned it because I wasn’t satisfied with the video quality (especially the aliasing). If the GH3 is worse in this respect, it might help me to rule out spending the extra cash vs. the GH2. Hi, anyone knows when the camera will be available in Europe? Thanks. Hi Phillip, I am thinking to get a dslr, mybe canon 7d markIII or even the new sony a99 (have you heard about it) but I saw this short film (Genesis) And I was amazed with video quality, do you recommend this camera over other brands like canon, sony or nikon. The price versus value is great. Can you help me to make the right choice? What about moire and rolling shutter issues with GH3? Thank you very much, see you. Now that we are closer to a release date I was wondering if you had any more info on the GH3 Mr. Bloom. I currently use a Canon 60D and wanted to upgrade. I was really considering the EOS 6D or possibly the 5D MKIII (if $ allowed). Recently I’ve been informed about this camera however and it’s higher bit rate recording…not to mention 60p @ full HD. What are your takes on it sir…in comparison to the Canon line of DSLR for video? Yes! Great News! Can’t wait for that! Thank you so much for all your helpful reviews and tips for shooting video! Really appreciate your works. And I am desperately still waiting for your full review of the new GH3. Wish to see it soon! And since the sharpest video from affordable DSLR is D800, I’d love to see a IQ comparison on D800 vs GH3. In fact, a comparison of GH2 vs GH3 is less exciting for me since not many want to buy a GH2 now. Huge Fan! Loved this, Great job Phil!! You are a wealth of practical, helpful information, as well as an exceptional videographer.. Thank you for sharing so freely. The more I read the more concerned I’m becoming about all the wireless electrosmog we’re being increasingly exposed to. 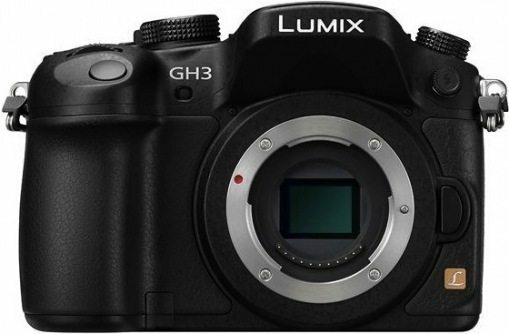 Although I’m interested in the Lumix GH3 (as you say, a lot of people want this camera). I’m also concerned about the GH3’s WiFi functions. Can the GH3’s WiFi be disabled? If not, why not? For personal health reasons I’m trying to limit myself, as well as those around me to EMR (electomagnetic radiation) exposure. I will not buy the GH3 if I cannot control (permanently shut off) the WiFi functions. I’m looking into this question with Panasonic, and will get back with any news. i have absolutely no idea! i am sure for battery reasons i doubt it is on the whole time! I and many others are hoping you can help get the word to Panny about a huge problem with the GH3, or offer a *workable* solution. Its has to do with the camera going into sleep mode when using the HDMI out while not recording to the SD card. After about 5 min or so, the output shuts off. We can’t figure out how to disable this, and work arounds such as periodically touching the screen or a button are not feasible – and for our PAL friends, even if they record to SD while sending to external recorder, they will still be limited to 29 minutes. Did you experience this while making Genesis? A related, very annoying problem, is the display detail indicators disappearing after a few seconds. I am constantly having to touch the screen or a button while recording to see the mic levels, battery indicator, etc. I can’t figure out how to disable this “feature”. It is a big problem for me because I record a lot of symphony performances and chamber music, and I leave the cameras on tripods recording for long periods. Anything you can do to help would be greatly appreciated by the GH3 community! Philip – have you (or anyone reading this) had a chance to play with the new G6? It’s got the GH2’s sensor but with a few improvements, possibly a GH3 beater – would be great to get a review from you, I’m sure I’m not the only person considering which camera to buy right now. afraid not sorry! barely had time to use my gh3!